Lower shipping costs and Free Shipping on orders over $50! New 4" Flippin' Tubes and new 3" color: Dark Melon Halo Gold! 4" Quad Dipped Flippin' Tubes Discounts Apply ! 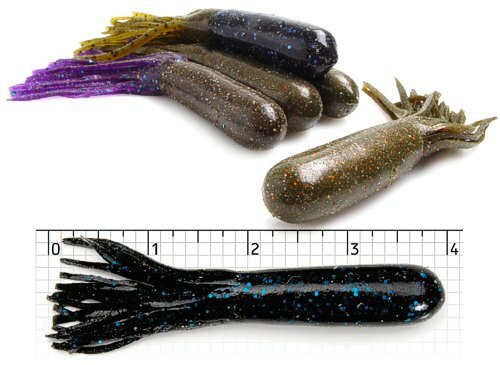 To answer the numerous requests from Bass Professionals and a lot of bass fishermen from coast to coast we have added a great combination of thicker wall and longer body. This tube will easily accommodate a number 5 wide gap hook of almost any brand yet it is still made of a great quality to get a good hook up with the fish.